Excited for this trendy & new bigger surprise box with some bigger bubbly surprises? Let’s unbox this bigger surprise box with some amazing big bubbly surprises using secret code and eye spy. Once opened unwrap the three surprise balls using fire, water & ice puzzles to reveal secret items & collectible doll parts. Watch out a few of them are bubbly bath bombs so you need to put them in water to see the rainbow color reaction. Enjoy unboxing each surprise egg & ball using amazing puzzles and riddles that will involve you more and more in this surprising game and once your open those amazing hidden objects you will be shocked with amaze. As you know unboxing the toys with puzzles & riddles dominate the toy world these days so Enjoy the seven layers of packaging and peel away the layers & layers of crinkly packing. Once you have unboxed and unwrapped the surprise under wrap bath bombs you need to open the bigger blind bag with fizz heart that has the cute collectible doll couple. Reveal the cute doll & boy from the fizz heart and see their amazing activities. 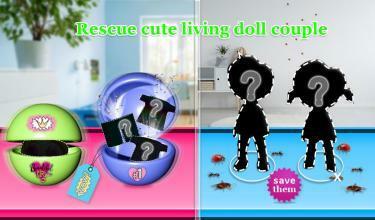 The cute and mini doll couple is alive and you need to save them from bugs and see their dance in your mobile. They are so adorable and cute that you will love seeing their activities on your table all day long. Anyone who loves surprise eggs, fizzy surprise toy and solving mystery codes to unbox and reveal collectible dolls will love this new hidden adventure. Game Play & Features: Amazing puzzles, mystery codes and riddles to unlock each item. Amazing 3D eggs and character animation. Unwrap 7+ layers of surprise box, surprise eggs and under wrap heart. 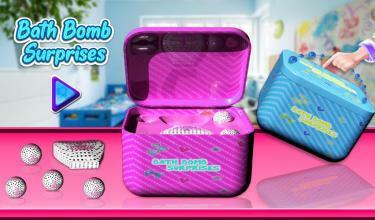 10+ surprises 3 types of eggs including bath bomb, fire bomb and air bomb. 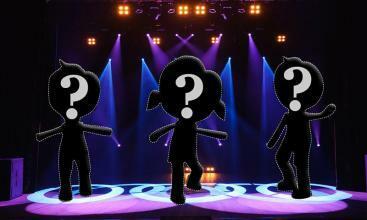 Reveal cute & funky vinyl figure collectible dolls and see their amazing activities just like a virtual toy.